Actually, Betawi has a many delicious specialties food. However, along with the rapid development of Jakarta, Betawi food is increasingly difficult to find. The specialties food of Betawi which is indigenous of Jakarta City, are influenced by Chinese, European, and Saudi Arabia culture. Delicious and tasty flavors are the hallmark of Betawi typical foods. And for those of you who want to know about the typical foods of Betawi or Jakarta, then you should read this article to a complete. Because we'll discuss about Betawi Foods that have ever been popular. Kerak Telor is a very famous Betawi specialties food. 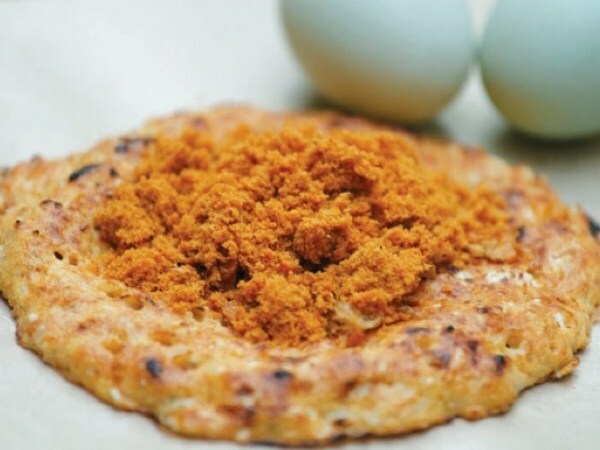 Kerak Telor is almost similar with Martabak, which distinguishes from its contents. The contents of Kerak Telor are sticky rice and also sweet potatoes. How to cook Kerak Telor is to be heated on a charcoal stove. Nasi Uduk made from white rice cooked with spices. The spices that use to make Nasi Uduk, are salt, coconut milk, lemongrass leaves, bay leaves, and orange leaves. Nasi Uduk has a delicious taste. Usually, Nasi Uduk mixed with Telur Dadar, Semur Jengkol, Ayam Goreng (Fried Chicken), Empal, Kentang Balado, and Sambal Kacang. The foreigners call Gado-Gado as 'Indonesian salad'. 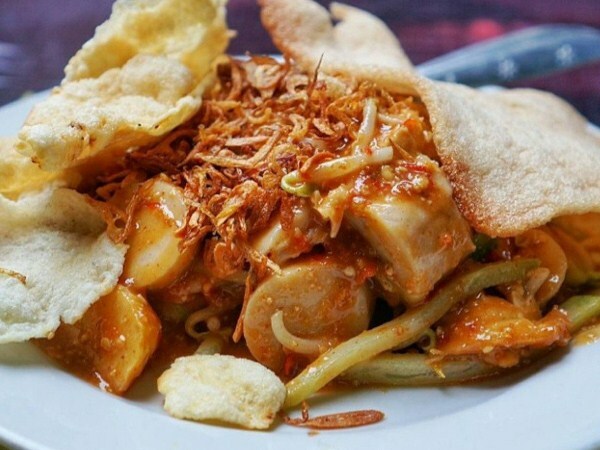 Gado-Gado contains lontong or ketupat, vegetables, crackers, and fried onion. Gado-Gado is usually eaten at breakfast, lunch, or dinner. In Jakarta itself, there are many Gado-Gado sellers. 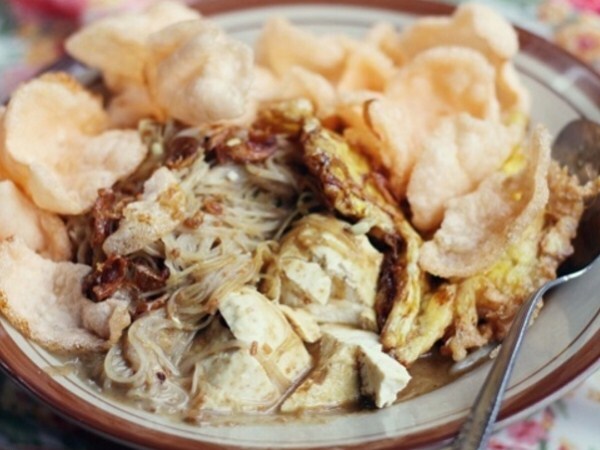 Ketoprak is made of ketupat or lontong which is combined with vermicelli, bean sprouts, and also tofu. The ingredients are then doused with peanut sauce, which makes Ketoprak was very tasty when eaten. When eaten, Ketoprak usually accompanied by crackers. 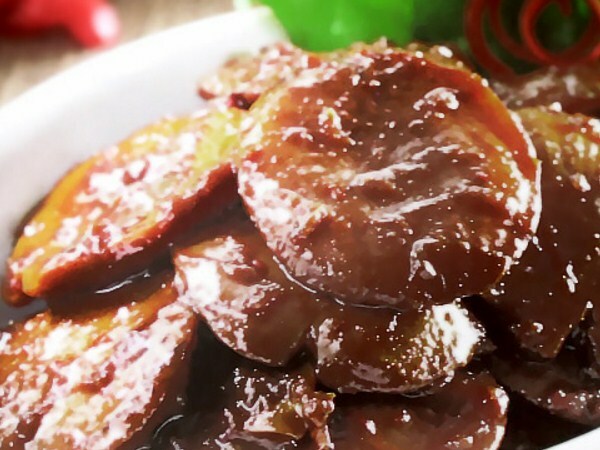 Semur Jengkol is one and only Betawi typical food, which actually comes from Betawi society. 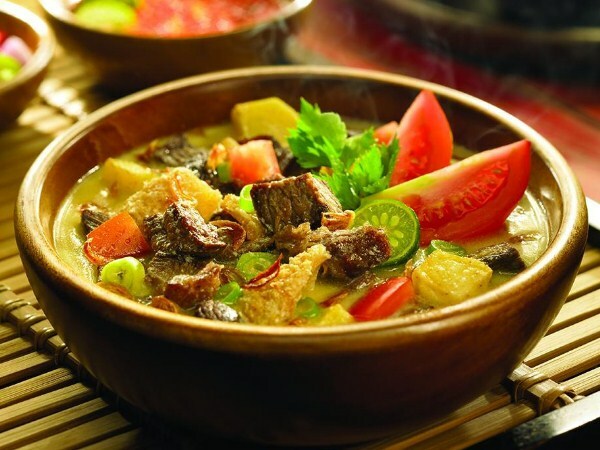 Betawi people can turn Jengkol into a delicious dish of stews. To eliminate the smell of Jengkol, usually, they will be soaked in lime water, or in water rice stalk stew. Soto Betawi is very tasty. The meat contained in Soto Betawi was tender, and the gravy was very tasty. This Betawi typical food is suitable to be eaten with white rice when lunch time arrives. 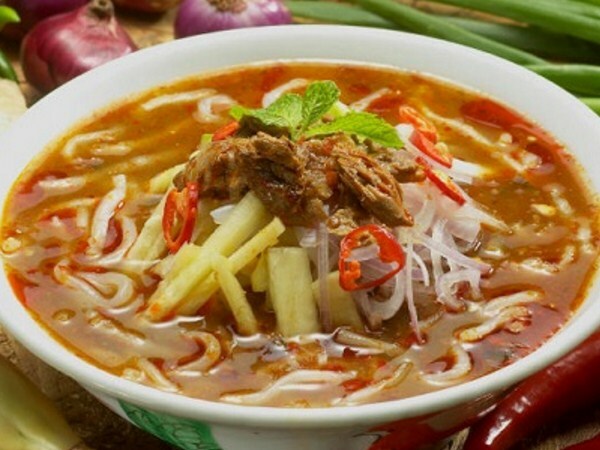 Laksa Betawi contains vermicelli, egg, Perkedel, basil leaf, and chives. This Betawi specialties food, are much influenced by Chinese food, but still has a tasty and sweet flavor. 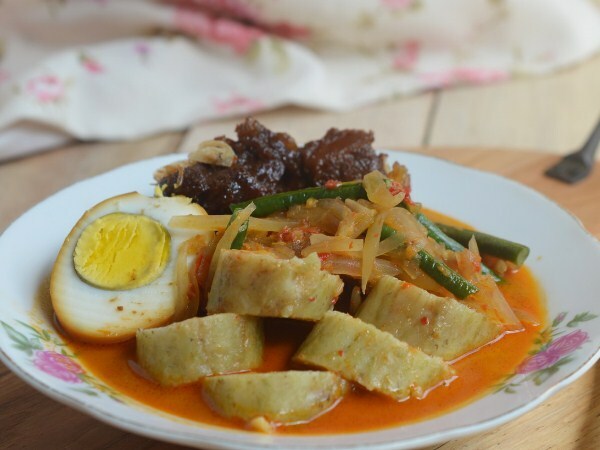 Ketupat Sayur is a Betawi typical food, which is usually used as a menu for breakfast. Ketupat Sayur is made from ketupat or lontong slices, which are given a tasty coconut milk sauce. Ketupat Sayur usually given flavorings such as fried onions, soybeans, and crackers. 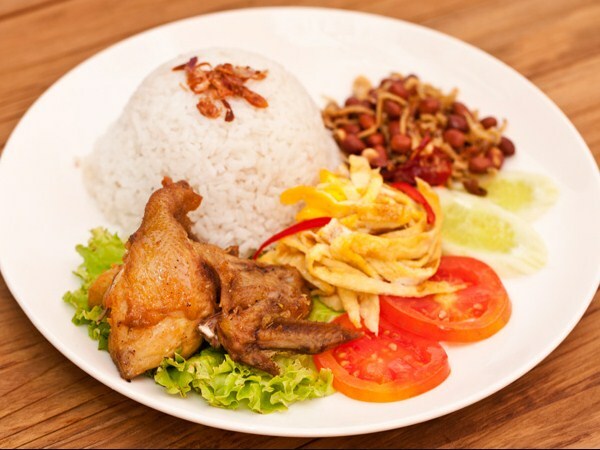 That is the 8th typical food of Jakarta that is very popular among the people. Well, for those of you who are in Jakarta and feel confused in searching for delicious food to eat, you should try the Betawi specialties food that we have discussed above. These foods have a very delicious taste.